Wetherspoons has submitted plans to redevelop The Brockley Barge as a mixed use development, which would incorporate nine new apartments. The plans would dramatically transform the structure of the pub (built in 1868) with the proposed residential apartments being positioned above the ground floor of the public house and extending to the south of the three-storey front façade of the building. The internal layout retains the public house use at ground floor level with the enclosed beer garden to the rear and creates a new customer area on the first floor with access to the terrace. The first-floor terrace would be opened up to use by customers of the public house and will have a 1550mm high glass balustrade mounted behind the existing parapet. The second floor of the public house would be for staff and will include toilets with changing facilities, store rooms, office space and a staff room. This is an important one to get right. The Barge is central Brockley's only remaining pub and a focal point for the community. A terrace could be fun, but anything that compromises this community asset or spoils its clean lines is to be treated with caution. BCer Cynthia writes: "I would love to know what readers think of these plans." Route 171 from Catford Bus Garage and Brockley to Holborn would be cut back from Holborn to Elephant and Castle under the scheme. And the 172 from Brockley Rise faces being trimmed back from Clerkenwell to Aldwych. The consultation will start next month. For the full article, click here. Thank you to Joe. explain the legal and planning ramifications and consider the next steps. the gates and tarmac and those whose properties are affected are also welcome. section to remain resurfaced with a more sympathetic and sustainable topping material. behind the new gates, could have been modified. and emergency vehicle access must be restored to the mews as soon as possible. a gated community is totally at odds with this. Brockley's West Side will be hosting a summer party this Sunday, with beer/homebrew shop waterintobeer and newly revamped restaurant Norbert joining forces for the first time. The Mantle Road bash will include a barbecue, live music… and of course, beer! Owners Tim and Helen (wib) and Luca (Norbert) look forwarding to welcoming everyone to enjoy the sun with their neighbours from 12-7pm. The ongoing hot, dry weather is killing Brockley's young street trees. Volunteers are needed to keep them alive. If you want to be responsible for watering a local tree, please email local group Street Trees for Living here. To find out more about what's involved, click here. The FlixBus fightback has begun. Years after the van hire companies using our pavements as a storage facility were driven away, Brockley residents are kicking off about the FlixBus coaches that are regularly and illegally parked on our streets, blocking pedestrian ramps and poking round junctions. German coach company FlixBus keeps its operating costs low by loading some of those costs on to our streets. The problem also highlights the hollowness of the argument that CPZs will deal with dodgy parking in the area. There are already enough laws to punish bad parking, they are simply not enforced. FlixBus' social media team have promised to look into the problem of rogue parking, but Lewisham Council, which has promised action on clean air, needs to do the same. Ladywell Baths comes back to life in this short film by local filmmaker, David Stock, in collaboration with Lewisham Buildings Preservation Trust. Historic, grade II listed building, Ladywell Baths, and the recollections of people who have passed through its doors over the past century, will be commemorated in a new, short film, “Memories of Ladywell Baths”, to be shown at Curzon Goldsmiths on 8th July 2018. Local film-maker, David Stock, in collaboration with charity, Lewisham Building Preservation Trust, has produced a short film which uncovers and documents the stories of people who have lived, worked and played in this iconic building, now known as Ladywell Playtower. Built in 1884, Ladywell Baths became one of the first public swimming pools in the country. It attracted thousands of local people, including athlete Eric Liddell, whose gold medal win in the 400m at the 1924 Olympic Games inspired the film Chariots of Fire. In 2004 Ladywell Playtower was closed, and following a serious fire in 2006, the Victorian building fell into disrepair. In 2017, after many years of campaigning by local residents and Lewisham Building Preservation Trust to bring the derelict building back into use, Lewisham Council put proposals for its restoration out to tender. In November 2017, the Council made the decision to award the redevelopment of the building to Curzon Cinema in conjunction with developers Guildmore. From dance parties to boxing rings, midnight swims and floods, not to mention a few ghostly tales. Hear stories of this iconic building from those who were there. 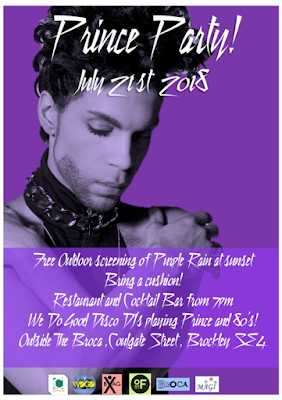 The film will be followed by a Q&A with the director, David Stock, and some of the film participants. Lewisham Council-run primaries have squeaked into the top 20 best-performing schools in England at Key Stage Two, in a new research produced by the Education Policy Institute. The independent research group found that Lewisham's schools were among the country's best once factors including prior attainment of pupils and levels of disadvantage were taken into account. The top 20 is dominated by London schools. Lewisham is ranked 20th. That's the good news, but Lewisham's biggest challenge is of course its secondary school provision, and at that level, the performance is poor, with our Council-run schools ranked 177th out of 218 providers. The Harris Federation, which runs a number of local schools was ranked second in the country at Key Stage Two and fifth at Key Stage Four. For the full report click here. Thanks to Ian Duffy for the tip off. Brockley Streets is a new community campaign group dedicated to improving local roads for pedestrians and cyclists. increasing road safety for everybody inside and around the Brockley Conservation Area. We want to give priority to cyclists, pedestrians and public transport, reduce pollution from traffic going through the area and prevent the use of our streets as rat-runs by non-local traffic. We are not about the CPZ and we do not represent any particular view for or against (people have asked us this question in the past). 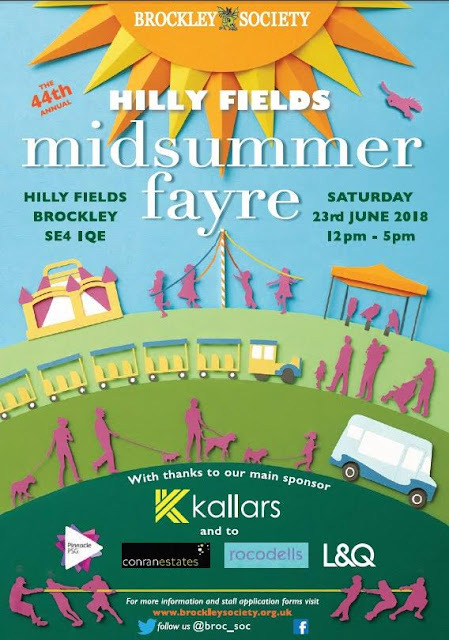 There is a London-wide initiative by TFL and the Mayor of London called 'Healthy Streets' designed to help communities improve local traffic issues and we would like to help shape these developments in Brockley. To find out more, visit their website and to get actively involved, email them here. Browns of Brockley has a spiffy new Peter Max-style pop-art makeover, painted over tts black canvas. 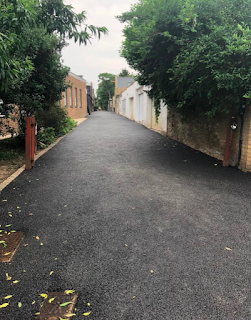 Following the installation of a gate across the north end of Ashby Mews, some residents have now decided to tarmac the surface, changing its historic character to something which more closely resembles a business park. Despite this advice being given to the organising mews residents it seems to have fallen on deaf ears as they have now had the mews access lane resurfaced early this week with black tarmacadam at the northern end. Lewisham is London's second-most pet-friendly borough. 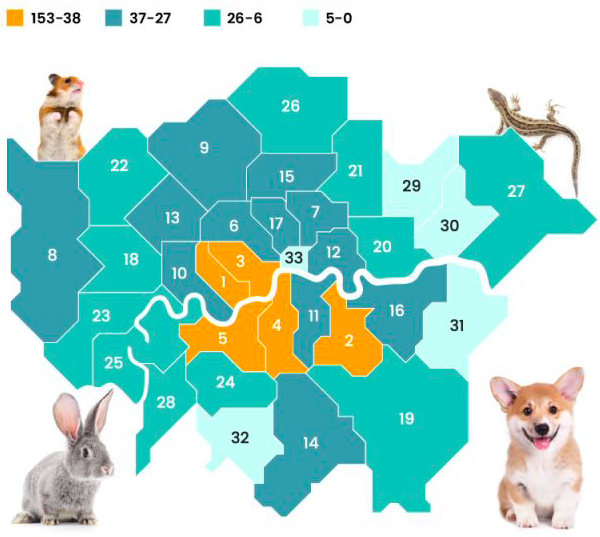 An analysis of home-rental data on Zoopla by Fasthomes.org found that Lewisham had a higher proportion of pet-friendly ads than any borough except Kensington & Chelsea. As rental rates increase across London, pet-friendliness becomes a more important issue. With thanks to BCer Chris Wheal, who is friendly to pets. We’re moving the 2018 centrepiece works north of the station this year and and our theme is community spaces. Aspire is doing a huge work at Luxmore Gardens near Lewisham Way. 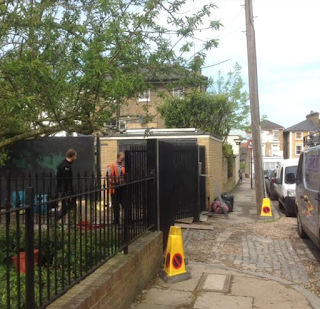 At nearby Friendly Gardens, Enos is doing an extended mural working with the designs of students at Prendergast Vale. Lionel Stanhope is refreshing his iconic SE4 work near the station and two artists, Orbit and Owain will be repainting the Honor Oak ‘love them, tell them’ corner fence. 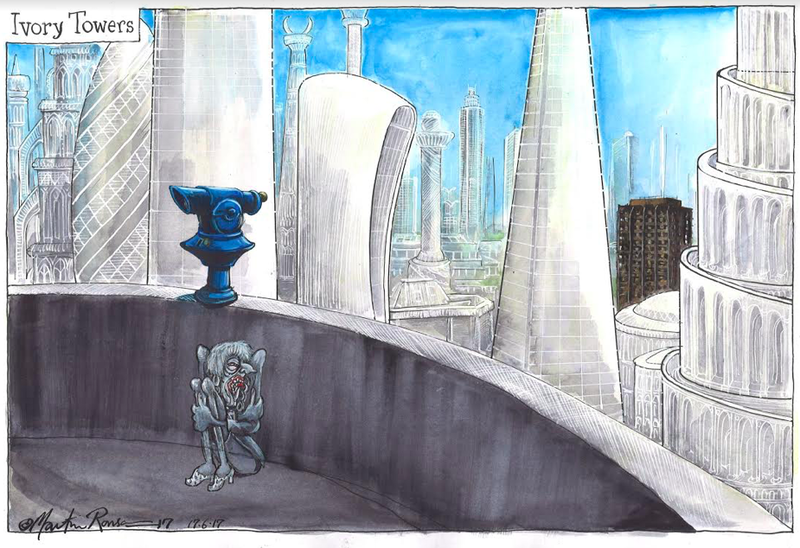 We may also have a new piece by Artmongers, though that may be created next year - it’s big. 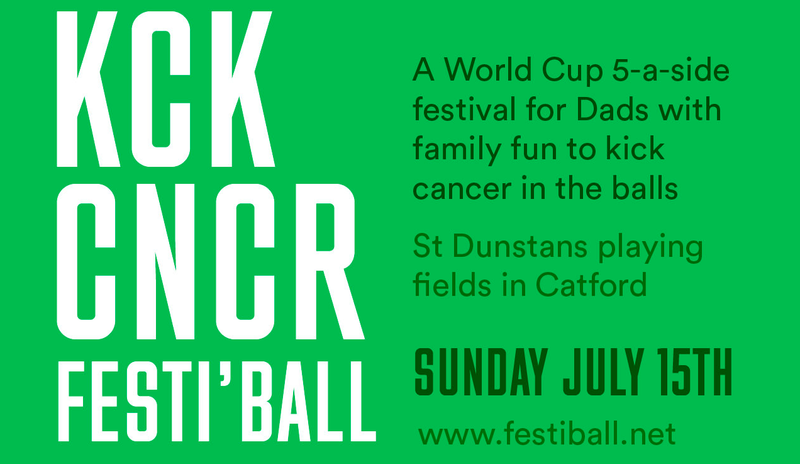 "I’m hosting a family fun day and a dads football tournament down at St Dunstan’s in Catford called Festiball. It’s an urban fete with stalls of kids clothes, toys, books and local crafts. "Then there’ll be a bakeoff competition judged by a local VIP. We’ll have big family picnic while the dads play football with a BBQ and a local craft beer tent. "We’re putting on entertainment for the kids, face painters, magicians, balloon blowers and a penalty shoot-out competition. "The Football Tournament is World Cup competition, with up to 20 teams involved, all getting a national team from the real World Cup to play for. The reason we’re doing this is to raise money and awareness for mens cancer. We’re supporting Prostate UK and a smaller local charity called Ballboys that educates younger boys about the perils of Tesicular cancer. 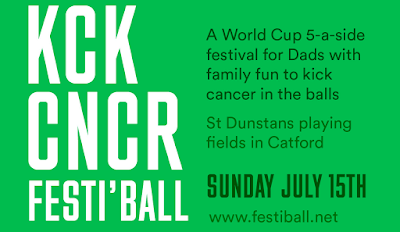 We want teams to sign up for the football tournament and families to come to the event to enjoy. 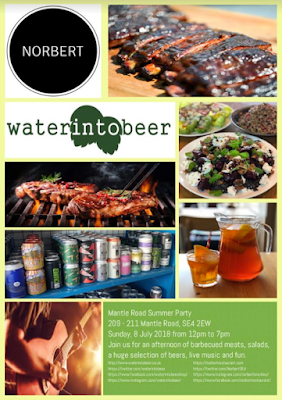 It’s on the 15th July and we’d love it if you could help us out in any way possible. Crofton Park Trains All Messed Up. Bibbidi bobbidi boo. "Well, serves you right, spoiling people’s best dreams." Until now, the Cinderella Line group, which campaigns for a better Crofton Park service, has operated in a parallel universe, where people just ask for things and public transport organisations deliver them promptly and efficiently. The message we have been feeding back to Thameslink, based on our experience is that this is simply unacceptable and cannot continue. As always, it's the pressure from all our supporters that allow us to keep holding Thameslink to task so please continue to stand with us so we can do this. Our MP Vicky Foxcroft has already been in touch with Thameslink. Why do services keep getting cancelled? The national timetable planning process across the entire national rail network has been significantly delayed. Railway timetables are normally published 12 weeks in advance, however, rewriting the timetable from scratch across such a huge network is a massive undertaking and was not completed until a few weeks ago. In addition to running passenger services, the timetable changes define the scope of engineering work to the track. This, in turn, affects the deployment of trains and train crew and the access they have to train maintenance depots. Less time than usual has been available to re-plan the driver allocations as well as the train stabling and maintenance requirements. On top of all of this, there simply arent enough drivers trained to drive all of the new routes. Train drivers can’t simply turn up and drive any train – they need to understand and be cleared for, the routes that they drive. We anticipate that it will get better as time goes on, however right now, Thameslink have been unwilling or unable to confirm how long this disruption might last so check before travelling and have a plan B. Why are some of our services back to 4 carriages after being told they would always be 8 carriages? 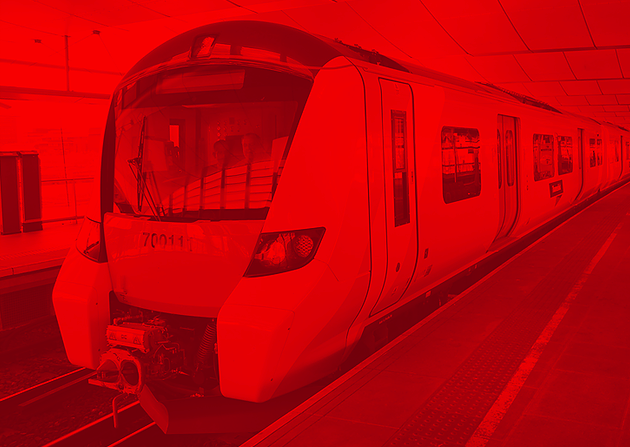 Due to the implementation of the new timetables, SouthEastern have been drafted in by Thameslink to run some of our services on a temporary basis. SouthEastern use older trains that can be split in two, and as they have a shortage of trains on their own network it means that some of our services may run short. Why aren't there any more fast services from Catford? Our journey times have now increased for some services? On the Cinderella Line, there is limited capacity for our Thameslink passenger services to run. The only way for us to have more services overall is for all our trains to stop at all stations, so they move in unison – exactly like they do on the tube. Since Thameslink either can't or won't be clear about how long we might have to endure the current issues, thinking up alternative routes and checking before you travel are about the only things we can do. For the full horror, click here. Lewisham's neverendum on CPZ's continues. 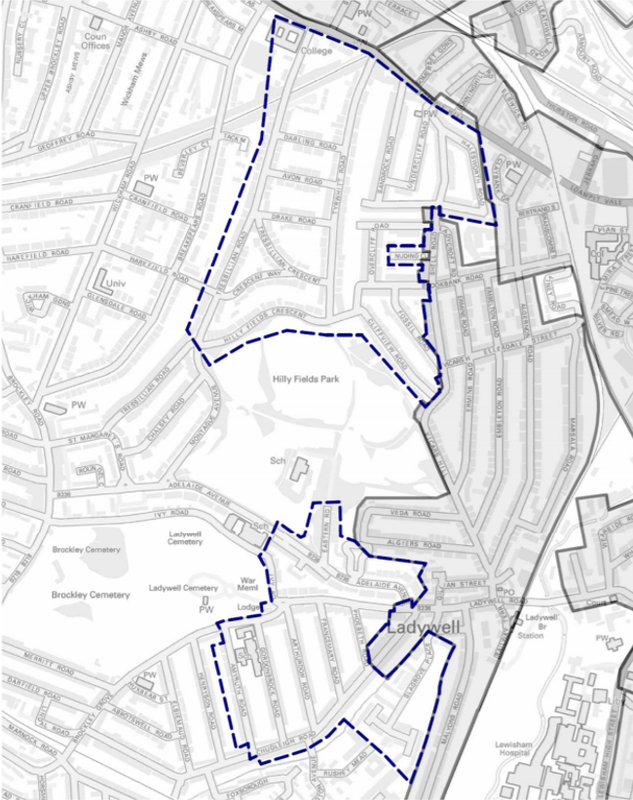 This time, the Council has proposed a zone that covers the back streets of Ladywell and a patch of the Brockley Conservation Area that runs from Hilly Fields to Lewisham Way down Tressillian Road. 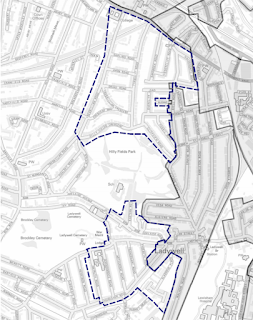 "Lewisham Council are consulting yet again for a Ladywell CPZ extension, calling it the 'Ladywell Study Area'. It seems extensive too. We are one road outside one of the 2 areas and knew nothing of it until we saw a sign on a lamp post today." "I'd be interested to hear what other people think. I think it’s crazy. Once we have that one it will spread across the whole area." The arguments for and against CPZs are well rehearsed. They promise to make it easier for locals to park, but cost money and faff for local residents. They risk harming local small businesses, but also could reduce local traffic as fewer chancers from outside the area look for inner London parking spots. 1. Does it solve a significant problem? No one has the divine right to park outside their house. Even people with young kids or heavy bags (I have had both in my life). Most of the time, most people can park within a stone's throw of their front door. For those with disabilities, disabled bays are an option. Do we really need to inconvenience an entire area just because a few people have to walk a few yards sometimes? Are the Brockley roads covered by this scheme really that bad? 2. Could it have negative consequences for those outside the zone? Time and again, CPZ's create problems on their borders for people just outside the zone. The Council's attitude seems to be that this is an appropriate punishment for those who have the impudence to vote against one in their area and the solution offered is more CPZ, and so the inexorable expansion continues. If we're going to have these things, why not go the whole hog and make the whole of SE4 a CPZ? That is the unspoken question in the consultation. 3. Would it be properly enforced? The galling thing is that we already have plenty of parking restrictions that are ignored by rogue traders and the anti-social because the Council doesn't enforce existing rules. We have a French coach company regularly parking across public rights of way, with impunity. Without proper enforcement, this is just a tax on the law abiding. 4. Is the cost and hassle worth it? Taking all this into account, does the cost-benefit analysis work for residents? It's not just the money, it's also one more bit of admin to deal with, compounded when friends come to visit. 5. Are there bigger priorities? EV charge points and car club bays are in short supply. What is being done to encourage greener forms of car-use? Do we need more short-stay bays to support local businesses? Will residential bays diminish the opportunity to address these challenges. Click here for the online consultation. Our new Lewisham Mayor has pulled a rabbit out of the hat in first weeks in post. 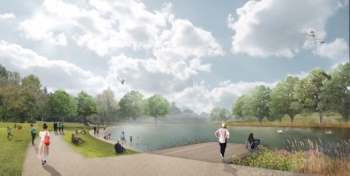 The award is part of the mayor of London’s push to make London the world’s first National Park City. Beckenham Place Park was one of six winning projects to get a share of the £2m funding pot from the mayor’s Greener City Fund. It's great to see such an ambitious and imaginative project in the borough. More please. Lewisham East has dodged a Momentum bullet. Janet Daby - the sensible, moderate, serious candidate on the Labour shortlist for the upcoming by-election - has been selected as their prospective MP. Daby likes talking about housing, health and education rather than lurking in chatrooms muttering about Zionists. Her analysis of political problems extends beyond personal anecdote and posture. She cares about Lewisham more than she does about re-writing Venezuelan history. Needless to say, she was a local choice rather than a national plant. Given Labour is a shoo-in in this election, this is an important outcome and a signal that Labour's Lewisham grassroots are resilient. Full list of candidates coming up. A completely new timetable will apply to Crofton Park trains from Sunday, May 20th. Thanks to everyone, from 21st May we will be enjoying our well-deserved 4 trains an hour on the Cinderella Line, doubling current capacity and giving us vital new services across London. 4 trains an hour all day every day Monday – Saturday. Sunday will initially have 2 trains an hour increasing to 4 once Network Rail have completed some engineering works that will allow Thameslink to run the full service on Sundays too. You can read more about the engineering works here. Two of our services will terminate at Blackfriars and two will go beyond to Kentish Town, linking us up to Farringdon for Crossrail and Kings Cross St Pancras. The 4 Thameslink services will be spaced at 10 and 20 minute gaps. This is to pave the way for eventually increasing our service to 6 trains an hour and we're going to be pushing for this to happen. Just imagine: a train every 10 minutes! From Crofton Park there are currently three direct services to London Victoria on weekday mornings departing at 7:36, 8:23 and 8:43. In the new timetable from May, these times have been amended to depart at 7:46, 8:15 and 9:21, so our third service will be more than 30 minutes after it currently is. We have raised this with Southeastern Railway and the reason for this is that under the new timetable with all of our core services through Blackfriars, it is not currently possible to have a train that stops at Crofton Park at around 8:45 to Victoria as this could cause a knock-on delay to other services. From 11th June the initial phasing will be complete and our services will run as planned. During the phasing in period, some of our services will either start from Blackfriars or Terminate there, but after 11th June they will run the full length of the route. For the full rundown of changes, click here. Labour, as expected, has chosen an all-female, all-BAME shortlist for the Lewisham East by-election. They are: Janet Daby, Brenda Dacres, Sakina Sheikh and Claudia Webbe. Daby and Dacres have years of local service with the Council under their belts. The Labour leadership and Lewisham Momentum prefer Webbe and Sheikh. Islington Councillor, friend of Jez and NEC member Claudia Webbe has attracted criticism for her previous defence of Ken Livingstone's antisemitism and her appearances on Iranian and Russian state TV. On the other hand, she is related to Simon Webbe, singer of No Worries, one of the most perfect pop songs of all time. Worth noting that there are nominally other contenders from other parties involved in this election. More on them soon. Brockley Max 2018 features an amazing mix of art, music, comedy, film and photography events alongside the hugely popular Opening Night, Brockleywood Nights and Art In The Park. We also have our very own radio station. Brockley Max FM will be broadcasting live from The Fox & Firkin during festival week. 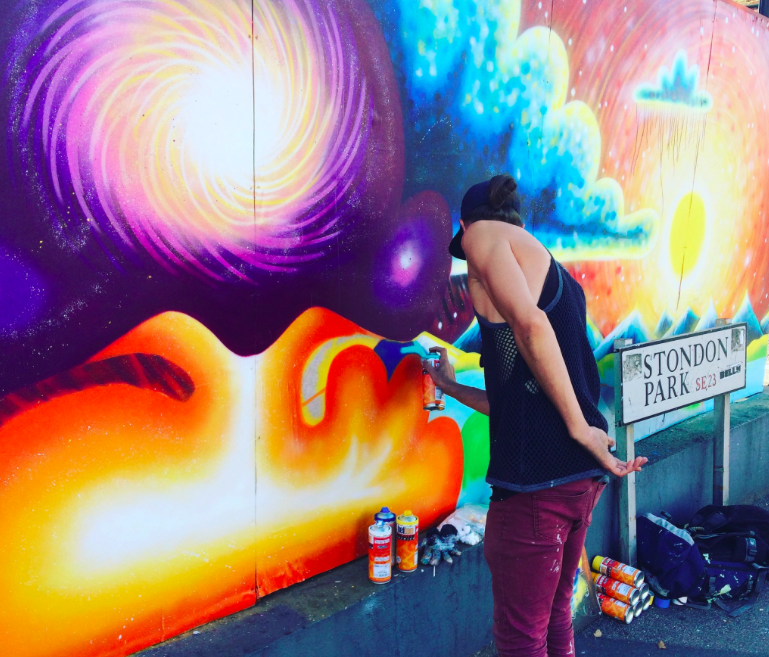 And once again we’re delighted that the Brockley Street Art Festival is happening alongside us. 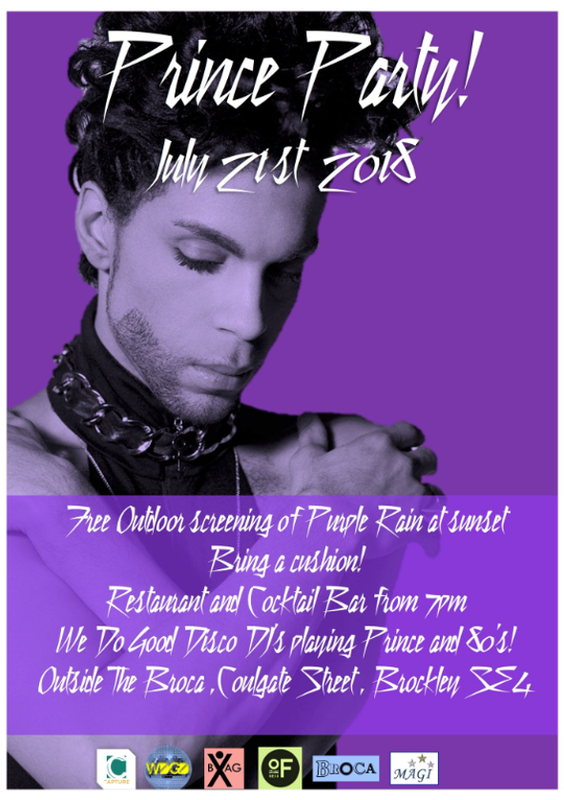 The traditional opening night party is on June 1, on Foxberry Road. Phyll Opuku-Gyimah, the candidate widely touted to win the Labour nomination for the Lewisham East by-election, has issued a statement on Twitter saying that she will not stand. She will thus become the only person in London not running in this race. Tomorrow we would have revealed that Lady Phyll also hired and supported the disgraced anti-Semite Josh Rivers, who said “Jews are gross”. Labour having real problems with this selection. The UK Black Pride organiser had been flirting heavily with the idea on Twitter and in interviews, and was tipped as the one that Corbynistas would anoint, but she has pulled out at the last minute, citing personal reasons. The list of candidates currently in the running can be found here. - Lewisham Momentum is hosting a meeting with candidates tonight at the Rivoli tonight, but has no-platformed Joe Dromey on account of his genitalia. - Labour's National Executive Committee is reported to have delayed the selection meeting until next Saturday, in response to complaints from local party members that the process was being railroaded by the national leadership. Windsor’s local homeless charity, SHOC, has partnered with Brockley-based Patchworkit to create an alternative wedding gift list for people who want to mark the Royal Wedding by supporting those in need. You can donate a toaster, towels or a range of other gifts by clicking here. 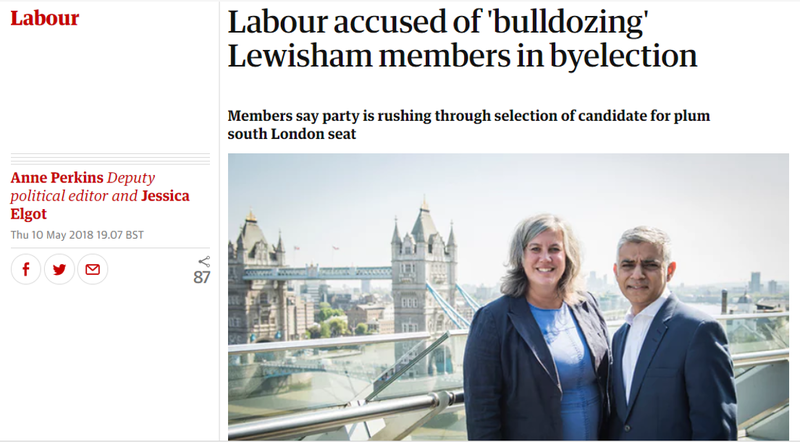 "Labour party members in... Lewisham East are protesting furiously that the byelection caused by the resignation of the MP Heidi Alexander is likely to be held in just five weeks’ time. "They accuse the party’s national executive of rushing through the process to prevent the local party having a voice, with the candidate to be shortlisted and selected in just six days. "The Lewisham East CLP chair, Ian McKenzie, emailed members calling on them to protest against the speed of the process. "The national executive committee (NEC) always selects byelection candidates, but Lewisham East is a plum seat with a solid 21,000 majority. "Several people have already let it be known they are interested, but there are indications that Labour HQ would like to see an all-female shortlist and is likely to favour at least a majority of BAME candidates in a constituency where nearly half the voters are minority ethnic." So are the many the local party members who represent the grassroots of the party, or does the Labour leadership, with a huge national mandate represent the interests of the many against a few local refuseniks who can't get with the glorious programme? Reducing complicated issues down to trite oppositional catchphrases is harder than it looks. Kevin Bonavia - Blackheath Councillor and Spurs fan? Uh oh. Running on a strongly pro-immigration platform following his work with refugees in Lewisham. Pledges to work to mitigate the worst effects of Brexit, which is to say he supports the Labour Party's pro-Brexit stance. Brenda Dacres - the New Cross Councillor is a familiar face in local politics. Her candidacy declaration included a personal connection to every wicked Tory injustice meted out since 2010. Follows the Corbynista line on Brexit, which is to say she is pro. Joe Dromey - A job with the Moral Maze's favourite think-tank the IPPR, a solid track record as a Councillor and a tendency to say sensible things in a moderate tone on Twitter give him impeccable centrist dad credentials. Good luck with that... 'Passionately pro-European' (hint hint), but nominally supports Labour's pro-Brexit stance. Sakina Sheikh - Inspired by Corbyn to join the party two years ago and only elected as a Lewisham Councillor a few days ago. Together with our new Lewisham Mayor and Telegraph Hill Councillor Paul Bell, she recently shared a platform with a local Islamist imam Shakeel Begg, who in 2016 was found by a high court judge to “clearly promote and encourage violence in support of Islam and espouse a series of extremist Islamic positions.” Her statement does not mention the EU at all and she has ducked repeated questions put to her about Brexit on Twitter. Reportedly the Corbynista candidate of choice. Claudia Webbe - Former Chair of the Met Police's anti-gang crime initiative Operation Trident, her statement is admirably detailed and definitively socialist. Says she is proud to call Corbyn a personal friend. Pro-Brexit. So there you have it. Five candidates so-far, all toeing the pro-Brexit party line. A reminder of two things: Firstly, if you want to be the next MP for Lewisham East you'd better tailor your manifesto for the ears of the national leadership rather than the local electorate. And secondly, the Labour Party is a pro-Brexit party. The Huffington Post reports that Labour is contemplating selecting candidates based on an all-women, all-BAME shortlist, which would have the fortuitous consequence of weeding out the centrist candidates. Phyll Opuku-Gyimah, the co-founder of UK Black Pride, is also expected formally to enter the race shortly. Whitefoot Councillor and Lewisham Deputy Mayor Janet Daby has declared her candidacy. The former social worker's platform is the most locally-relevant, including references to the Bakerloo Line and problems with gang violence. A good and considered local politician. She makes no reference to Brexit or related issues at all. Another one to add to the list. Rachel Onikosi is a former Lewisham Councillor who ducks any reference to Brexit in her declaration. Instead, her florid note majors on things like mental health, mean tweets and 'the stigma' of maternity leave. From this plethora of options, will any pro-Remain candidate emerge? Down goes Lady Phyll, who's dropped out amid media reports of anti-semitic social media posts. Tom Willetts has entered the race. He is a governor of Trinity Lewisham school and a Catford resident. His declaration majors on issues affecting young black people in the borough. Describes himself as a socialist who wants radical change. Opposes 'hard Brexit', which is to say will support the party line in favour of Brexit. Have you ever wondered what’s behind the big red doors of St Peter’s? Come join our Open Day to explore this beautiful church and learn more about its place in local history. 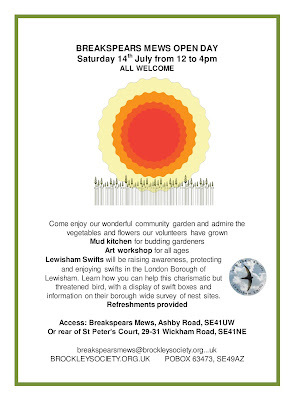 St Peter’s Open Day is on Saturday 2nd June from 12-5pm as part of the Brockley Max Festival. 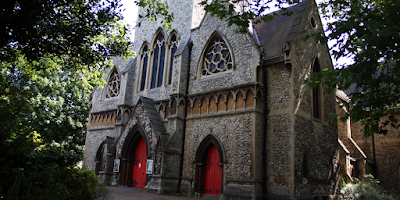 We welcome everyone to come and enjoy its stained glass windows and mosaics and take a tour, including climbing to the top of the clock tower for spectacular views of Brockley and the city. 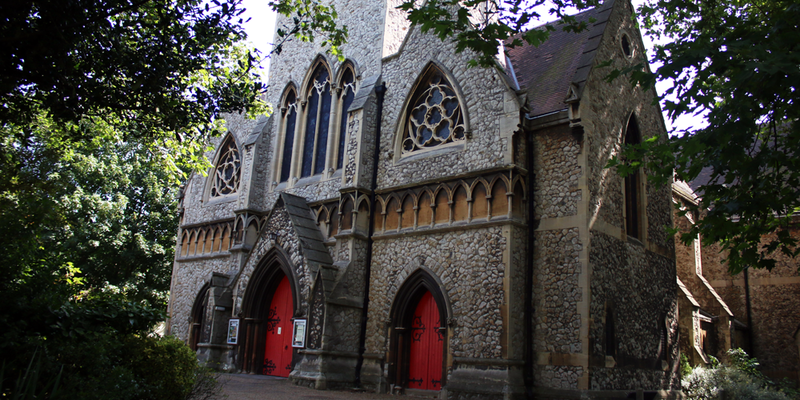 Guided tours of church will be taking place at 12:15, 13:30, 14:45 and 16:00. Each tour is limited to fifteen people. If you’d like to book your place on a tour, you can register your interest here. 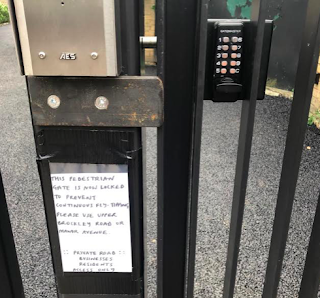 Recently, a metal gate appeared without warning across the northern entrance to Ashby Mews. This entrance to the mews has been cursed by constant fly-tipping over the years and the gates are a defense measure installed by residents. I bow to no-one in my hatred for rubbish and fly-tipping and I can imagine how infuriating it must be to live with it year-after-year. Just walking past it regularly made me angry. I have also been on the receiving end of residents' exasperation - despite living nearby, I was once challenged while on a walk to state my business by one neighbour who suspected me of being a fly-tipper (though where about my person he thought I was stashing my load was unclear). 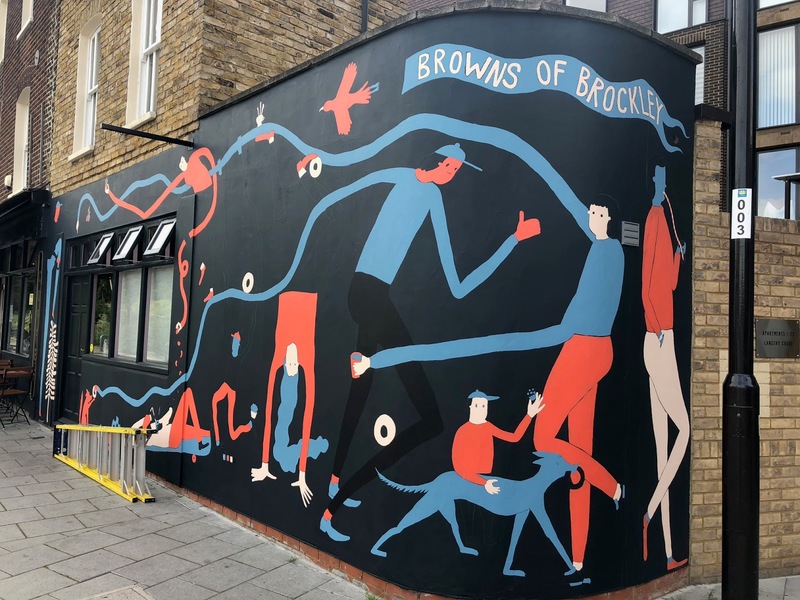 But Brockley's mews are a community asset and this was done without public consultation, nor reference to the Brockley Society, who are guardians of the conservation area. 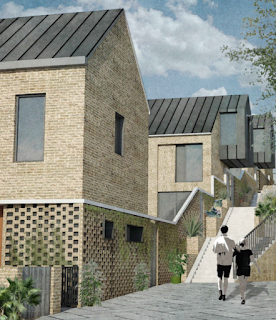 Some residents with rear-garden access to the mews say they were unaware of the plans. Rumours abound about when and how often pedestrian access will be available. Restricting pedestrian access is a draconian measure to combat rubbish usually dumped by the van-load. It runs contrary to the communitarian spirit of Brockley or the stated intentions of the developers who have built homes in the mews. The gates are divisive in more ways than one: From the moment they were thrown up, I received emails from concerned locals who wished not to be named for fear of being dragged into a spat. The Council and the police should have acted long ago to deal seriously with fly-tipping at this spot. There should have been a plan of action that dealt with the problem and stopped residents feeling the need to take matters into their own hands. But the plan should have been developed with the community. It’s a shame to have shut them out. Heidi Alexander is standing down as a Lewisham MP in order to replace Val Shawcross as Mayor Khan's Deputy Mayor, responsible for transport across the capital. I have lost enough Twitter followers by dwelling on the internal Labour party politics that contributed to this decision and there will be plenty of time to revisit that topic as the race to replace her begins in earnest, so let us focus on the positives. Heidi Alexander is a capable politician who cares about our borough. Her appointment ought to ensure that the Bakerloo line extension to New Cross and Lewisham goes ahead without any hiccups. She might also encourage TfL to give greater consideration to cyclists in Lewisham, extending the bike hire docks to our borough. Anyone in City Hall with an affinity for South East London's challenges and potential is good news. One needn't be a clean-eating obsessive to worry about local fast-food outlets targeting our kids so flagrantly. The results of the Lewisham Council elections are in. The only non-Labour candidate, Brockley's Green Councillor Coughlin, is gone. Voters of Lewisham: What is the point of this? The people of Lewisham have chosen Damien Egan as their new Mayor. The election produced a surprisingly high turnout (37%), given that the result was a certainty, with the Council chamber a sea of red. The enduring appeal of People Before Profit is interesting, given that many of their supporters were thought to have been hoovered up by Corbyn-era Labour. Perhaps it shows the power of leafleting at local train stations. And the LibDems still cannot catch a break, despite having once been the main source of local opposition. Brockley's Green Councillor Leo Coughlin gained a creditable third place finish. Congratulations to Egan. And good luck. Calling all armchair detectives – an immersive murder mystery cinema event is coming to New Cross in May! 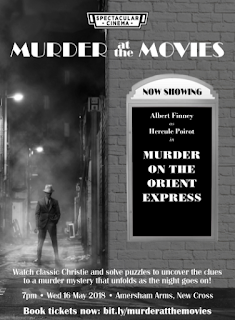 Learn from literature’s master of mystery at this film screening with a twist where the audience will have their own murder mystery to solve. The audience will watch the Christie Classic, Murder on the Orient Express (1974), play games and solve puzzles to uncover the clues to a murder mystery that unfolds as the night goes on. 1930’s outfits are highly encouraged and there will be a prop-box on the night to help you get into character! O happy day: Summer is here, Model Market has returned. The Lewisham food and booze experience re-opens tomorrow night, and this year's line-up includes What the Fattoush (vegan), Pocho (sliders and tacos) and Mama's Jerk (barbecue). Opens 5pm Friday and runs every weekend throughout the summer. Go. "Last night the Guardian reported that Labour MP Heidi Alexander is “seriously considering” quitting the Commons for a job at City Hall. This morning the Corbynista site Skwawkbox (health warnings apply) say she is to step down. Labour’s press office say they aren’t commenting and that Guido should speak to Heidi. Calls to her mobile, Westminster and constituency office phones are going unanswered. By-election?" Since quitting the shadow cabinet in protest at Corbyn’s leadership in July 2016, Alexander has come under pressure from pro-Corbyn campaign group Momentum, including some local activists who are also members of the far left Alliance for Workers’ Liberty. The influx of new members has sometimes represented a direct challenge, with local members vocally objecting to her decision to quit the shadow cabinet. 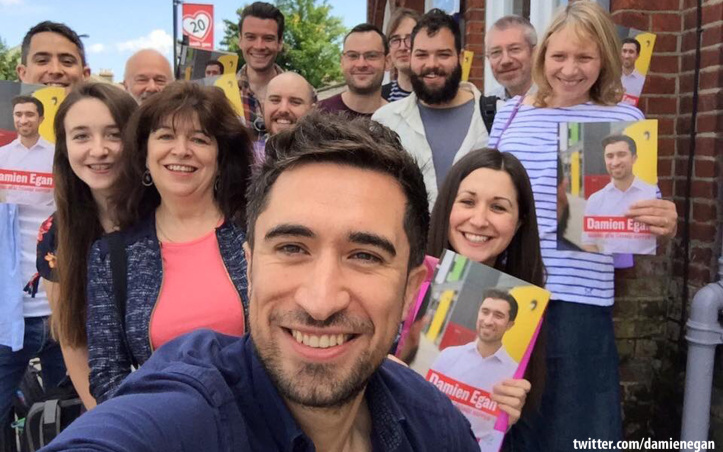 Momentum’s position is stronger in the neighbouring constituency of Lewisham Deptford; however, the campaign group last week launched a Lewisham East left caucus, to “help comrades build a strong left in the remaining stronghold of the Labour right in Lewisham”. 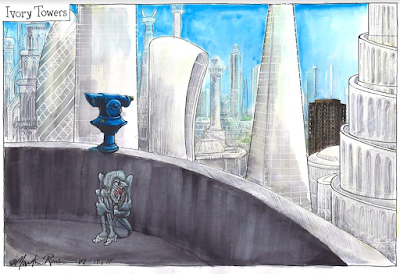 Martin Rowson, longstanding Ladywell resident & multiple award-winning cartoonist for The Guardian, will be looking back over the last turbulent twelve months in politics and much else in another fully illustrated, ranty & sweary fundraiser for the Brockley Max festival. In a year where it feels the world has turned upside down, Martin will give his take on the continuing saga of Brexit and the incompetence of our political parties through his cartoons. Be prepared to be shocked, enlightened and thoroughly entertained! Join us for this rare opportunity for an informal and intimate discussion, followed by a Q&A, with one of the UK’s most distinct political commentators. There will be opportunity to purchase copies Martin’s new books, including his graphic novel adaption of The Communist Manifesto, and his collection of “silent” [wordless] comics, “The Pen Is Mightier Than The Word”. Tickets are £10 + booking fee from here: All ticket sales to go towards funding this year’s festival. Over 18 years only. The local elections are coming soon and despite Labour's looming clean-sweep of Lewisham, candidates are dutifully going through the motions, with housing top of the agenda. Mayoral favourite, Damien Egan, made social housing central to his bid to win the party nomination. Councils across the UK are hoarding hundreds of millions of pounds set aside for affordable homes, HuffPost UK can reveal. Data obtained by this website shows more than £375 million is sitting in councils’ bank accounts instead of being used to tackle the housing crisis. Two-thirds of that cash - £235 million - is being held by just 14 councils. One housing campaigning group labeled the findings as “staggering”, while the National Housing Federation called it “deeply concerning”. The cash has to be used for specific tasks, such as affordable housing, highways repairs and even public art. Reacting to the discovery, Housing Secretary Sajid Javid MP said: “Section 106 payments help deliver the vital infrastructure required for councils to build the homes that this country needs. HuffPost UK asked every council in England and Wales to reveal how much they had received in Section 106 monies since 2013/14, how much they had spent and how much was unallocated. Lewisham is among the top 14 councils hoarding money for affordable housing, with £16.3 million unspent, of which £6 million is uncommitted. For the full article, click here. Thank you to Jenny for the spot. 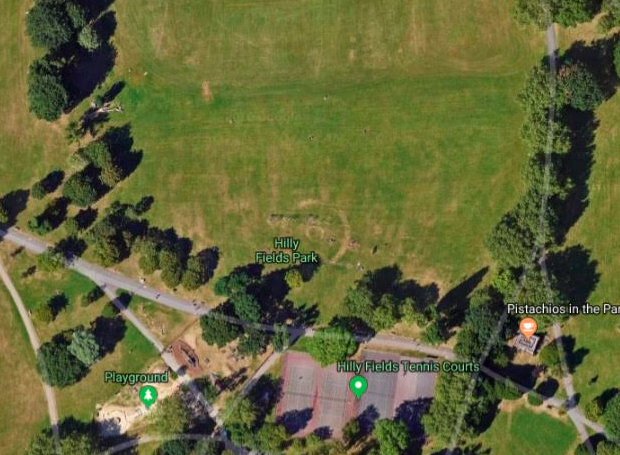 As it’s going to be a wonderful weekend you might want to publicise the Ladywell Fields river clean-up on Sunday, 22 April. I have been to probably 20 of these over the years and I can honestly say they are great fun - an opportunity to do some useful volunteer work whilst enjoying a different view of the world wading along the River Ravensbourne and enjoying Ladywell Fields in all its Springtime beauty. For more than a decade, Lewisham house prices have been rising faster than the London average as inner city living has become more fashionable and improved transport links have attracted people priced-out elsewhere. The result is that, from a low base, Lewisham has moved up the league table of London boroughs in terms of average prices. So one might of assumed that Lewisham would be among the fastest-fallers as London prices have started to fall in the last year. But new data from the ONS shows that in 2017, Lewisham house prices continued to rise at one of the fastest rates in the capital as the most expensive boroughs dipped. The ONS found that between February 2017 and February 2018 the price of the average Lewisham home rose 2.7% to £414,516. Speculative hotspots like Westminster (-2.4%), Hammersmith & Fulham (-5%) and Tower Hamlets (-7.9%) have taken a hammering, while more affordable outer boroughs such as Barking & Dagenham (4.4%) and Redbridge (8.9%) have shot up. Lewisham remains in the top ten fastest risers. Thanks to Monkeyboy for sharing the data. 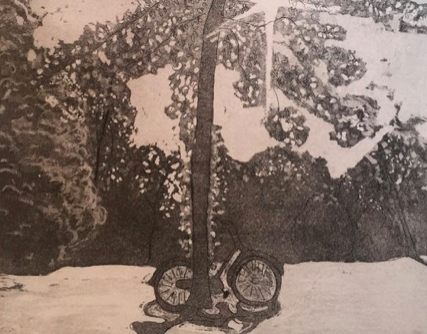 A great variety of artists has signed up and you can expect to see artworks including paintings, prints wood work, textiles, ceramics, fire etching and many more. This year, we are also offering workshops and activities provided by Caravan Arts and Aurora Options for you and your family to get involved. The future of Lewisham Shopping Centre has been the subject of feverish speculation over the years: Would it be completely rebuilt? Submerged below ground? Turned into a gastrodome? Appended with a cinema? 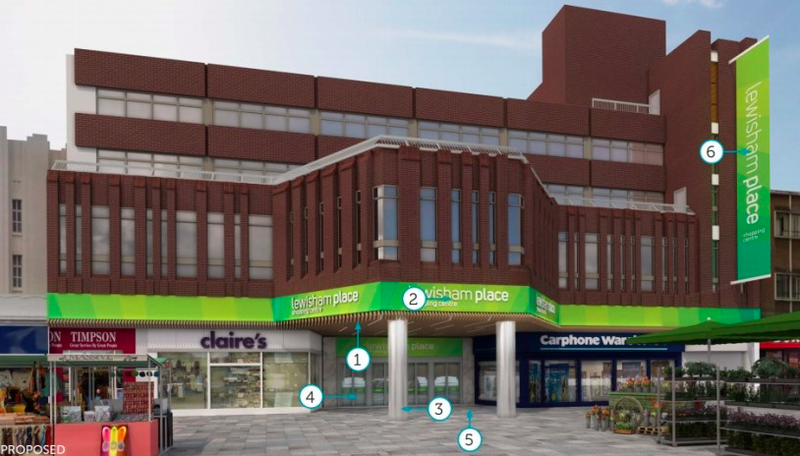 Lewisham Shopping Centre owners Landsec have just gained approval from Lewisham Council for a series of upgrades. 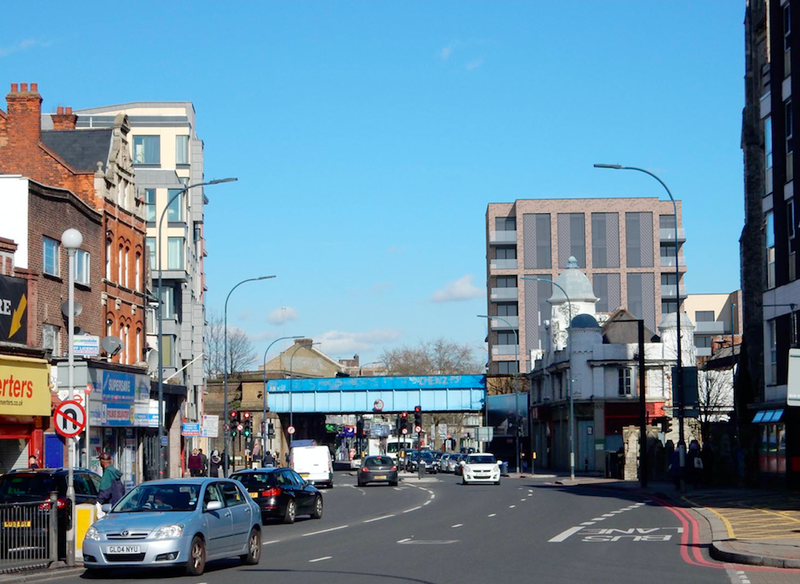 The focus is mainly on improving the six entrances to the site, which itself appears to be renamed as “Lewisham Place”. The centre first opened in 1977 and has undergone internal refurbishment in recent years. "The design for the six entrances is in line with the principles intended for the rest of the Shopping Centre which include the use if timber, natural stone and stainless steel as materials and shades of green and grey for the colour palette and graphics with the intention to brighten up and refresh the space." The entrance closest to Lewisham station and new builds at Lewisham Gateway is to be upgraded. A new green wall is apparent above the canopy. For the full, uninspiring story, click here. Thanks to Miles for the heads-up. A few weeks ago I was shocked and appalled to find my favourite go-to spot for giant pots of honey, enormous tubs of humus and unlimited plates of baklava was no more. The Turkish Supermarket on Lewisham High Street simply closed overnight. This site has actually been targeted for major redevelopment, with the latest proposal recently knocked-back by Lewisham Council. A couple of years ago planning permission was originally granted for a 4/5 storey block of 22 flats and 195 sq m of street-level commercial space at 223-225 Lewisham High Street – that’s where the hole in the street is now. 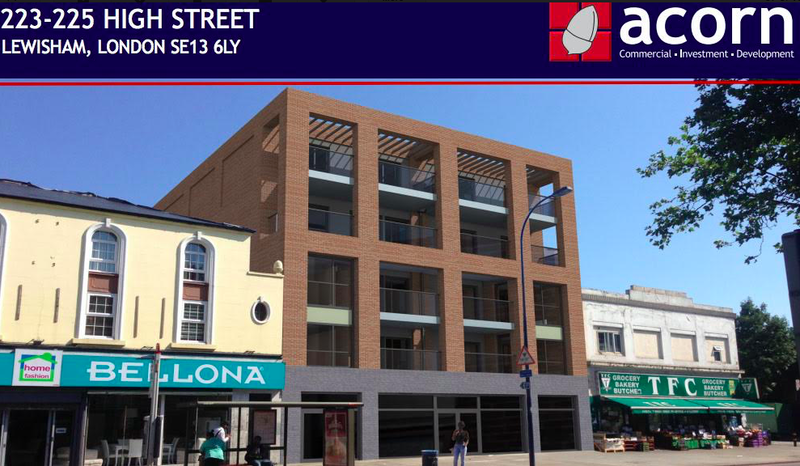 But planning permission for a much bigger development, stretching from 223-229 Lewisham High Street has now been knocked back. A planning application was submitted in July last year for 691 sq m of commercial space and 51 flats over 5-8 floors – but it was refused at the end of October 2017. These pictures show what they were hoping to build. 1. The size of the development would fail to provide a high quality design. 2. The proposed flats would provide “A poor standard of accommodation that would fail to provide long term sustainable housing”. 3. The development as a whole was over-development, with an unsatisfactory “compromised internal layout”. In short – loads of poky flats. Since that decision was made the site at 223-225 Lewisham High Street has been cleared, although no building work is taking place there yet. The TFC supermarket at 226-229 Lewisham High Street is still standing, for now. It is worth noting that barely 30m away, on the other side of the street, there is a development of 40-odd flats with a now-empty ground floor. It used to be a Tesco, but it’s been sitting empty for at least a year, if not more. A block further south is the highly regarded and award-winning Place Ladywell – a well thought-out scheme of social-housing flats, as anyone who lives there, or has walked around them on Open House Weekend, will know. The cafe is nice too and has become something of a community hub – as was the planning intention. It is clear that getting the planning mix right is crucial for Lewisham, especially in the town centre. What’s more, the success of Place Ladywell proves that planning actually works. When done well it can and does revitalise areas that need it. 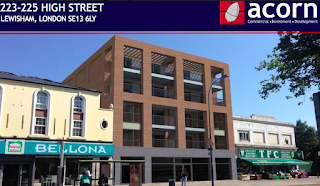 Well done to Lewisham Planning for knocking this development back – lets hope, and lobby for, something better and more appropriate for this corner of Lewisham High Street. 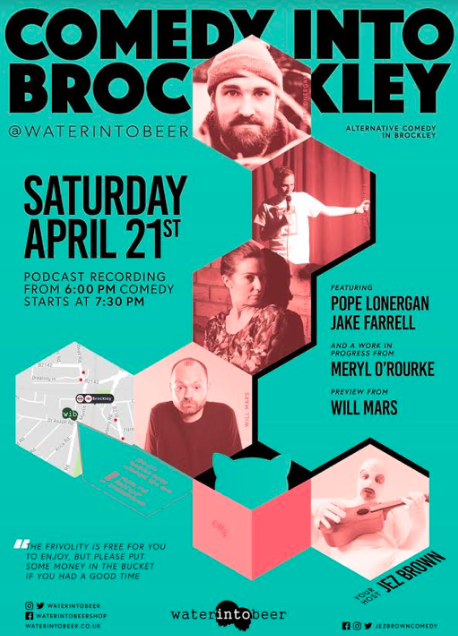 Comedy Into Brockley is a new local comedy night produced by home brewing kings Water Into Beer and hosted by Kiwi comic Jez Brown. The performances kick-off on April 21st and each is recorded as a podcast. "The plans build over the social housing garden contrary to the local plan [there is a strip of garden between the garages which will now be built on], they also provide less social housing than would be provided by building larger houses along the roads. 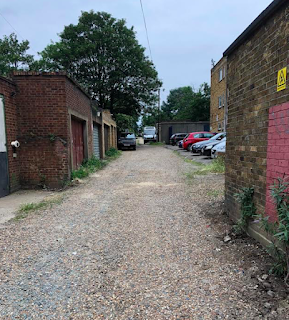 "The plans will block out the view of the sky in the back gardens they are building across and create a narrow alleyway between the roads in an area Regenter (who manage the existing flats) say is already bad for antisocial behaviour. "The connection is no benefit to the community given that Ellerdale street already joins the roads a few meters away. Currently, the plans are set to be decided by officials rather than the planning committee despite having such an impact on neighbouring flats and houses. 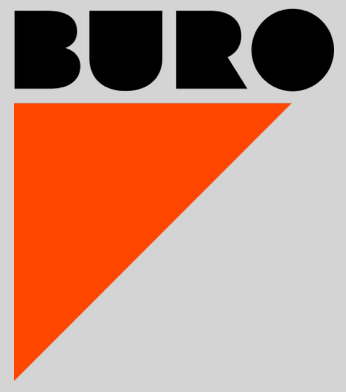 Buro is a new co-working desk and studio space has opened in SE4. “Our businesses needed a flexible office space for desks, a studio & meeting room with excellent local amenities and first-rate transport links: Dragonfly Place in Brockley fitted the bill perfectly. We are overwhelmed by the enthusiastic reception our new business has received locally”. "Buro’s interior has been completely refitted and designed bespoke as a desk-sharing space for the contemporary working environment. Re-cycled materials have been used as much as possible: made to measure desks have been re-purposed from school chemistry lab desks, upcycled lamps come from Bambino in Crystal Palace. Buro caters to individuals, as well as small groups and the facilities will develop with the requirements of the users due to the adaptability of the working space." Buro desks cost £250 inclusive of VAT, per month (£208.33 + VAT) which includes all utilities and Fibre Optic BT Infinity. 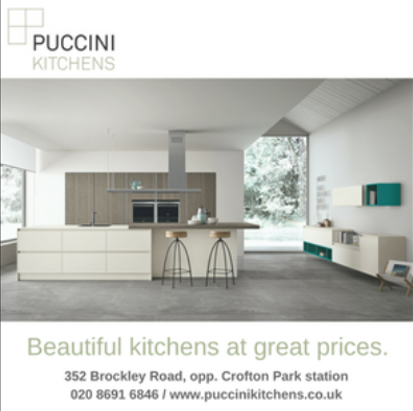 Buro users benefit from discounts from other businesses operating in Dragonfly Place and Brockley. "I am running this event at Greenwich Market with my company, Urban Rider. 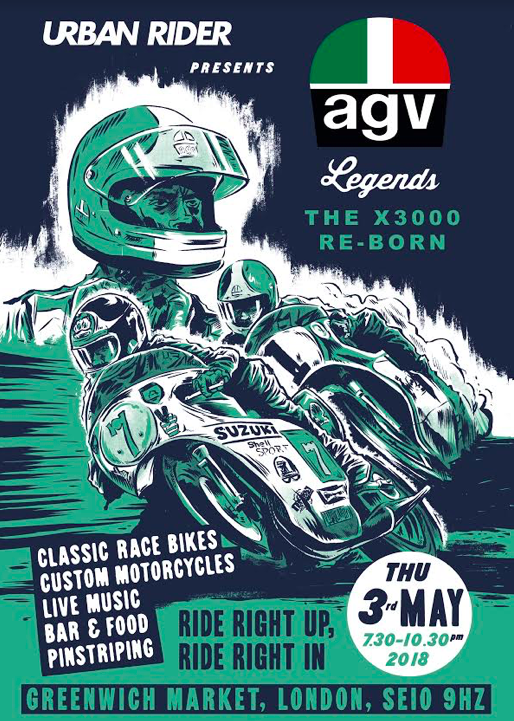 My business is a specialist retailer of the world's finest motorcycle gear and we have partnered with Italian helmet manufacturer AGV in taking over Greenwich Market for an evening to celebrate motorcycle racing icons of the 1960s and 70s. 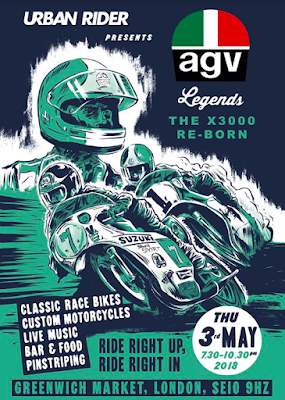 "It should be quite a spectacle and we would love local residents to attend, it is a unique opportunity to see some original race bikes and modern custom motorcycles. Even the Norton from the latest James Bond film, machine guns and all!" The New Cross + Deptford Free Film Festival (NXDfff) returns for its seventh year this spring with 33 free film events, 3 bike powered screenings, 9 new venues, Q&A sessions, DJs and docs. Something for every member of the community. Launch night is at Peckham's Brick Brewery with Get Out, a late license bar, street food and music. 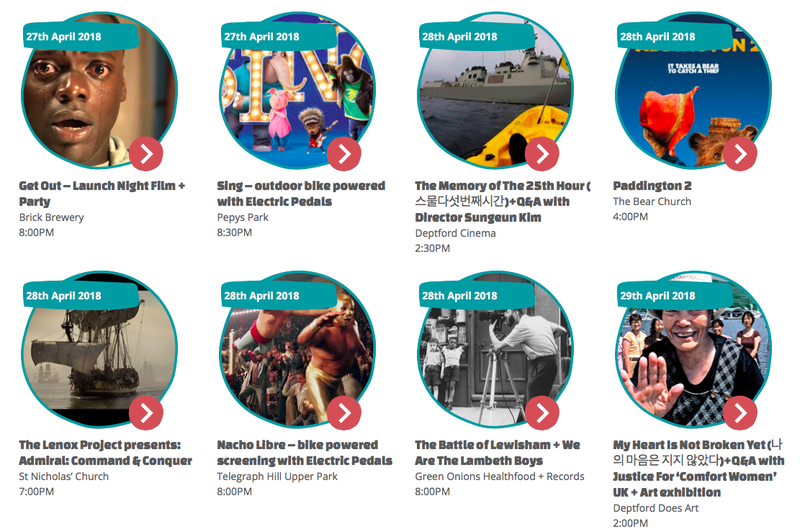 This year the festival features three outdoor bike powered screenings, including Sing at Pepys Park, Nacho Libre at Telegraph Hill Upper Park and Pirates of the Carribean at Folkestone Gardens. NXDFF also has a pre-release screening of locally shot film, SINK, followed by a Q&A with writer/director Mark Gillis. Shot in New Cross, Deptford and Brockley, the film has attracted Mark Rylance as an Associate Producer. The festival closes at Buster Mantis with a music themed documentary called Beats of the Antanov. The film depicts the Sudanese conflict in the Blue Nile and Nuba Mountain regions, focusing in particular on the role of music in helping the affected communities to sustain themselves culturally and spiritually. Buster Mantis will host our last event and local DJ collective Bombotropics will provide global beats and melodies. NXDfff is completely run by volunteers made up of local residents, students and community groups. NXDfff has a DIY ethos that encourages creative freedom: this year more than 30 people are curating film events with help and guidance from a core festival team. 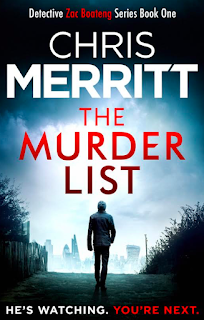 "The main detective lives on Tressillian Road and there are a couple of scenes in Hilly Fields too. Other elements of the story are set around Crofton Park, Honor Oak and Deptford. "It’s also been optioned for TV so we could be seeing some filming nearby in the future... Here is the book." Rad Bikes has renamed itself Parts and Labour Cycles due to a trademark dispute. You can now find the Lewisham Way bike maintenance shop online here. The Crystal Palace Festival returns in 2018 with headliners Stereo MCs and Polarbear. One of the biggest free cultural events in south London, the arts and culture festival will take place across the Crystal Palace area from 11–17 June 2018 with the Crystal Palace park event taking place on 16 June 2018. There were nearly 30,000 visitors to the 2017 event and organisers are expecting even bigger crowds on 16 June 2018 thanks to a line-up of music, spoken word, theatre, visual arts, family and community activities. The week long festival includes mainly free events organised by local traders, pubs, community groups, schools and churches across 11–17 June 2018. The festival’s outreach and participatory arts work has been made possible by funding from Arts Council England, Croydon Council and Bromley Council. 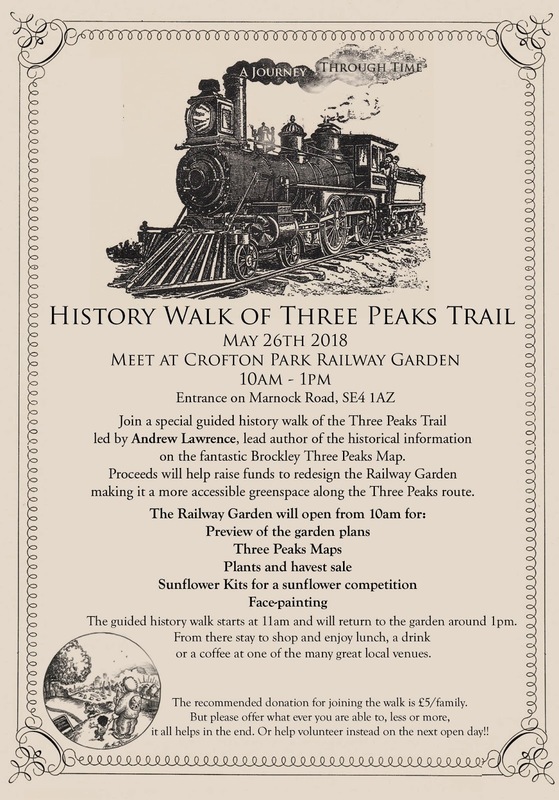 Projects include an intergenerational dance piece that will culminate in a promenade performance in the park, and concerts by the London Mozart Players in local care homes, the park children’s farm and Crystal Palace railway station.